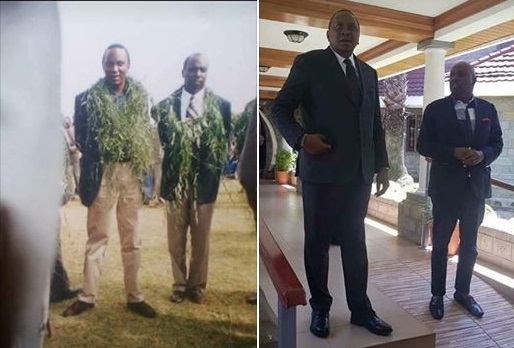 Thursday, August 2, 2018 - A throwback photo of President Uhuru Kenyatta and Baringo Senator Gideon Moi has emerged and caused a stir on social media. Back then, they were just struggling KANU politicians. A lot seems to have changed over the years. Check out these two photos and compare.